This is a dance set that I created to illustrate my animal myth, “How Bobcat Got Married”, which you may read for free here. While Bobcat is the focus of the myth, Deer adds her own energy to this set, and Pheasant’s feathers whisper their place as well. It is primed for sacred work, whether in ritual or dance, and may also be incorporated into other respectful costuming purposes. 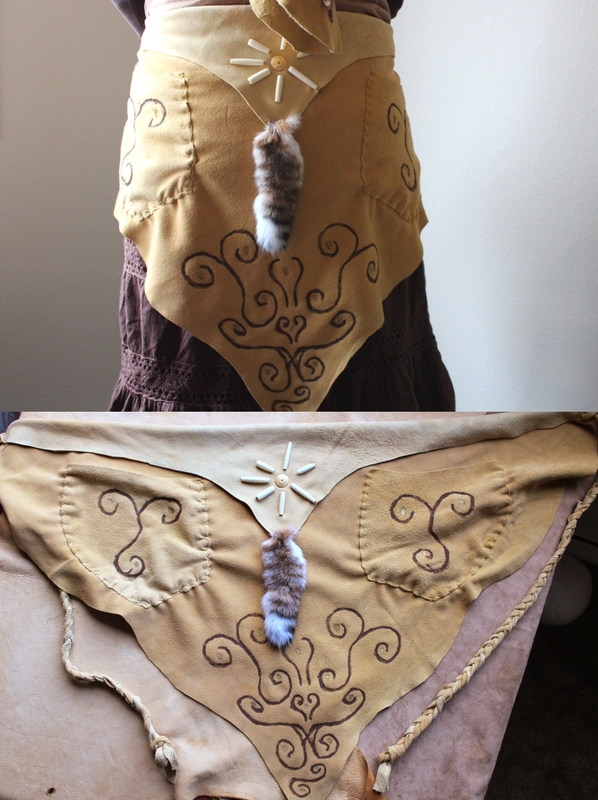 The veil-style headdress is made from a real bobcat face left over from coat manufacture; I reshaped it and perked up the ears, and added detailing to the eyes and nose. 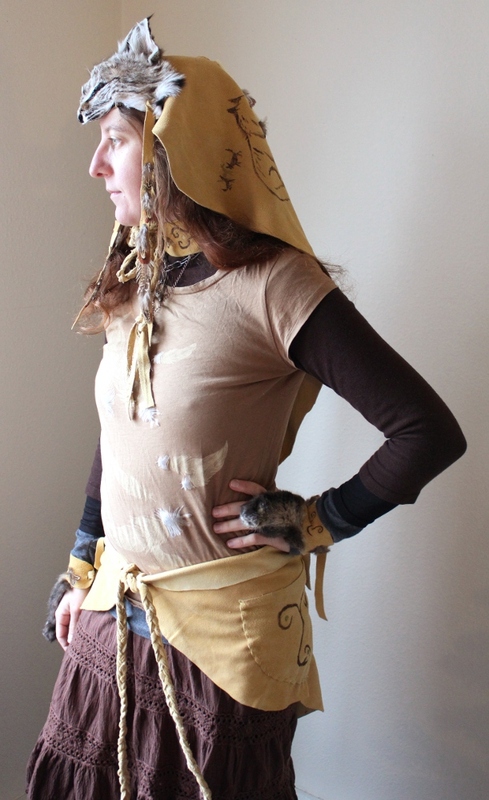 The veil is made from real golden deerskin suede, on which I painted Bobcat and her suitors. It’s accented with pheasant feathers and bone beads, and the headdress has two additional strips of deerskin with feathers, one on either side of the face. It measures 34″ long from end to end. 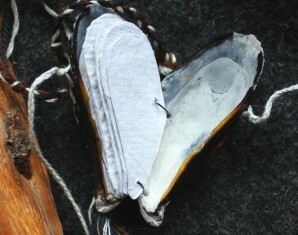 The pocket belt is made from more deerskin, with a bobcat tail stitched to the back. I adorned the belt with more paint and bone beads. 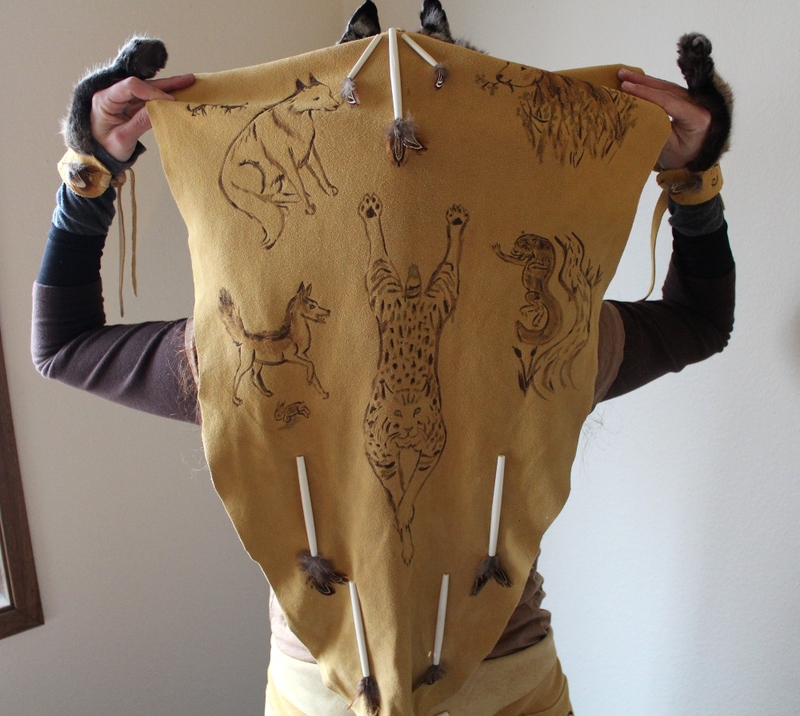 It ties with braided deerskin cords, and will fit from a 32″ to a 60″ waist, and longer cords may be added as needed. It may be worn as pictured, or apron-style, or to the side–however you prefer! The pockets do not have closures, but they are deep enough to keep their contents safe. 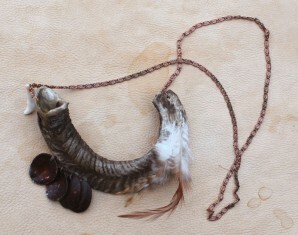 The choker is a 2″ wide piece of deerskin with a real bobcat claw stitched in the center. The claw is flanked by painted details. 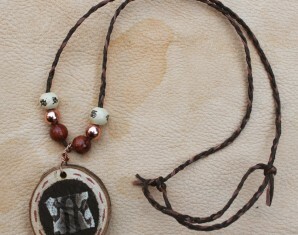 It will fit up to a 20″ neck as it is, and longer straps can be added. 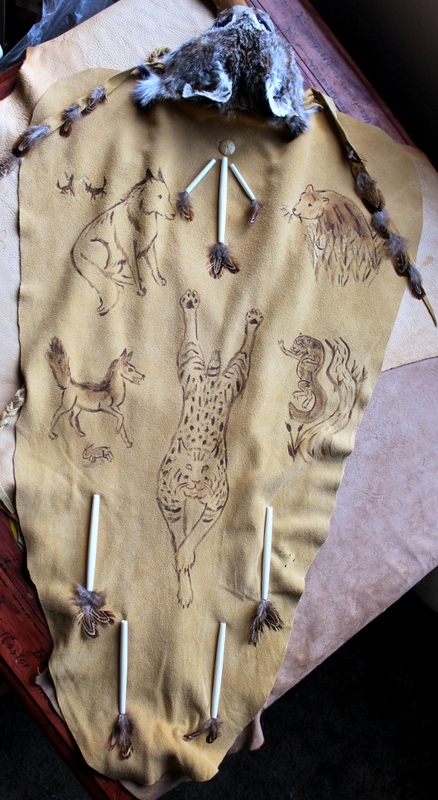 The final pieces are the handflowers, created from bobcat paws and deerskin, with painted details and pheasant feathers. 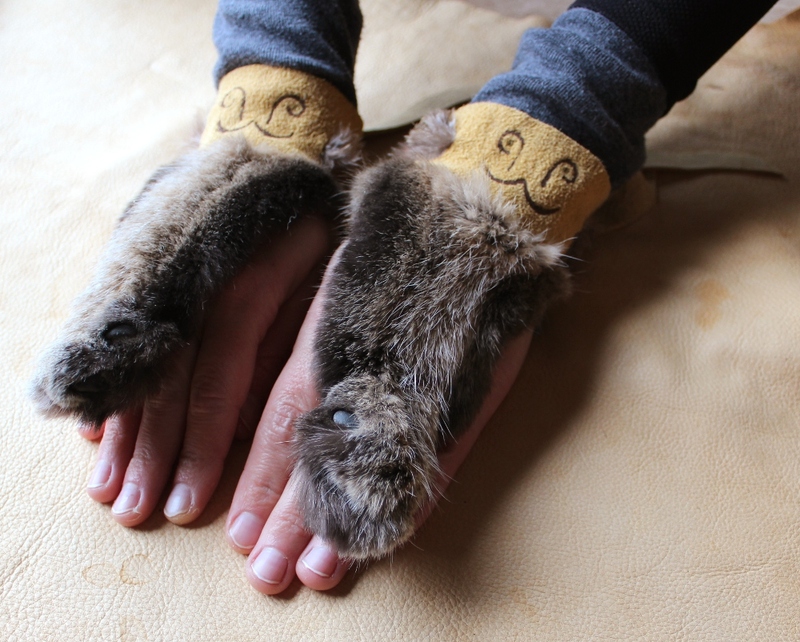 They will fit most adult hands.